Relax in cool, dramatic style and coveted comfort with the Dallas Steel Power Recliner. Highlighted features included a power footrest, power lumbar support, a power headrest, and a power reclining mechanism that caters to your utmost comfort at the mere push of a button. We love how the rich, soft upholstery brings a fresh contemporary feel to your home, enticing you to recline in luxurious comfort. 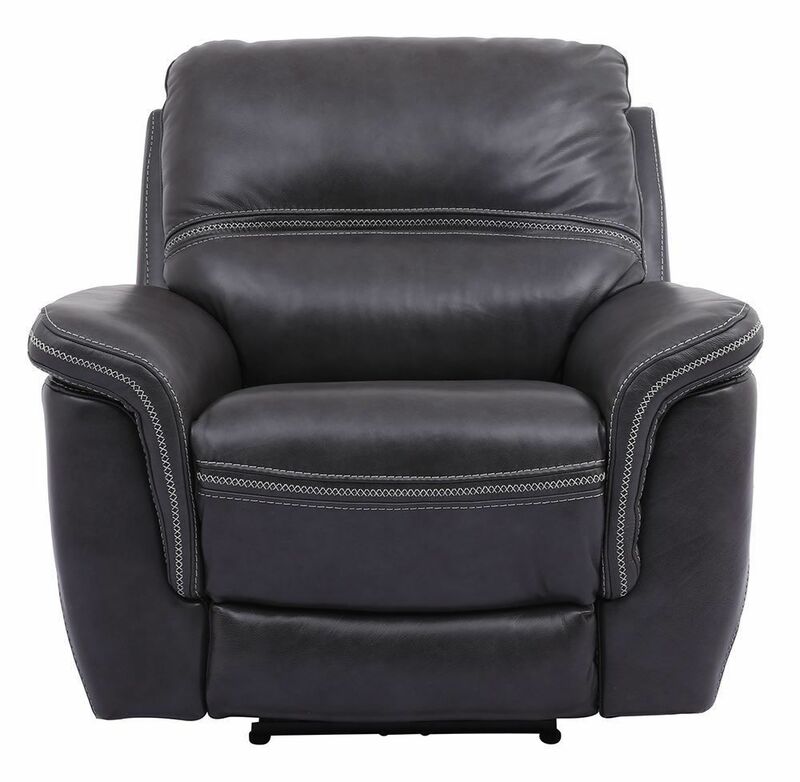 Relax in cool, dramatic style and coveted comfort with the Dallas Steel Power Recliner.